SPECIAL DEAL - Usually 39.99, today just 29.99 - Save £10! The Perfect gift for someone special, this is a real treat for the olive lover! Olives are famous worldwide for a wide range of uses, particularly for culinary purposes, olive oil and cosmetics too. Cultivated since Roman times, and probably much earlier, this makes them ideal gifts. One of the most stunning Mediterranean Plants. Edible fruits can be produced in the UK! Suitable for growing outdoors, in patio planters, or in a bright conservatory. Living 'Roman History' in a pot, providing long lasting value. 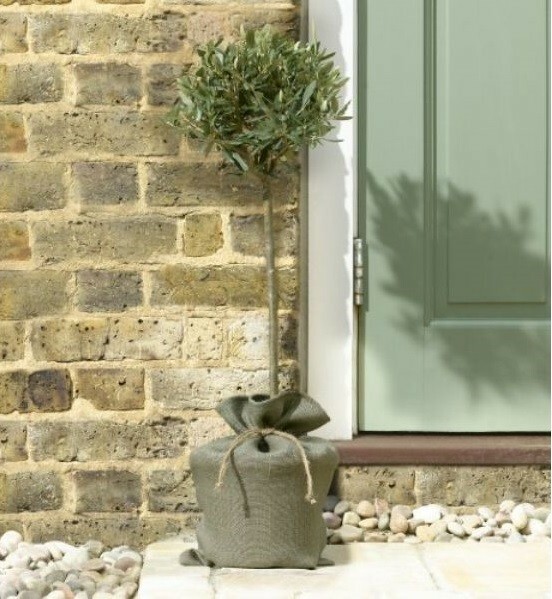 An extra strong, hardy olive tree (that may even be delivered with the odd fruit! ), supplied at an overall height including pot of around 80-100cms in a container wrapped in rustic jute to make an attractive presentation.